A unique underwater sculpture exhibit at a Maldives resort was destroyed on order of the country's president after it was deemed to violate Islamic beliefs. President Abdulla Yameen said the country’s religious leaders had complained that the sculpture represented idols, which are banned by Islam. Strict Islam bans any manmade depiction of the human form. 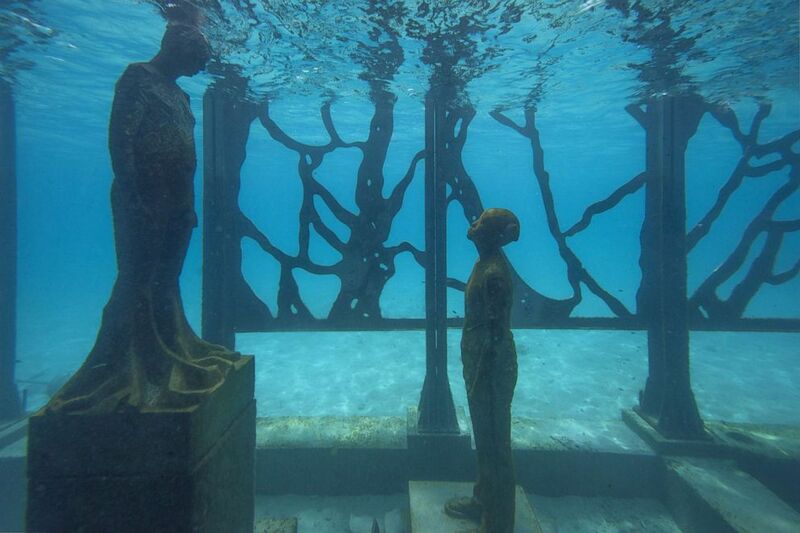 The project, called the Coralarium, was created by British artist Jason DeCaires Taylor to bring attention to rising sea levels. 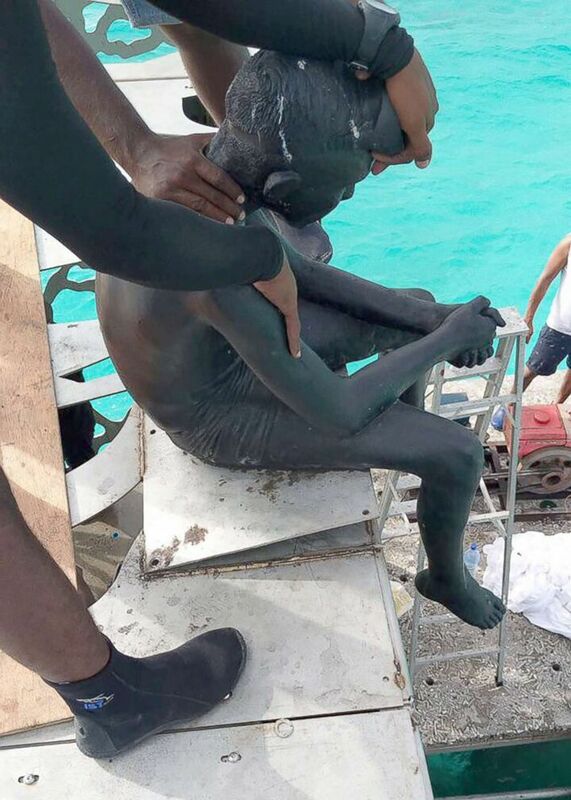 In this handout picture released by the Maldives Police on Sept. 21, 2018, Maldivian authorities demolish sculptures by artist Jason deCaires Taylor near the island resort of Fairmont Maldives Sirru Fen Fushi in Shaviyani Atoll, Maldives. Night visits to the Coralarium, when the sculptures were illuminated with underwater lights, were popular with visitors to the country. Sculptures Destroyed at the Coralarium On Friday last week I was extremely shocked and heartbroken to learn that my sculptures have been destroyed by the Maldivian Authorities at the Coralarium, despite continued consultations and dialogue. The Coralarium was conceived to connect humans to the environment and a nurturing space for marine life to thrive. Nothing else! The Maldives is still beautiful, with a warm and friendly population but it was a sad day for art and sad day for the environment. The Maldives archipelago, a chain of 26 coral atolls and more than 1,000 small islands in the Indian Ocean southwest of India, is under threat of being submerged as ocean levels rise. The country, which has many luxury hotels popular with honeymooners from the West, is the lowest in the world, with its average ground level just over four feet above sea level. The sculpture project, in addition to being a work of art, was also part of the island nation’s first coral regeneration project. 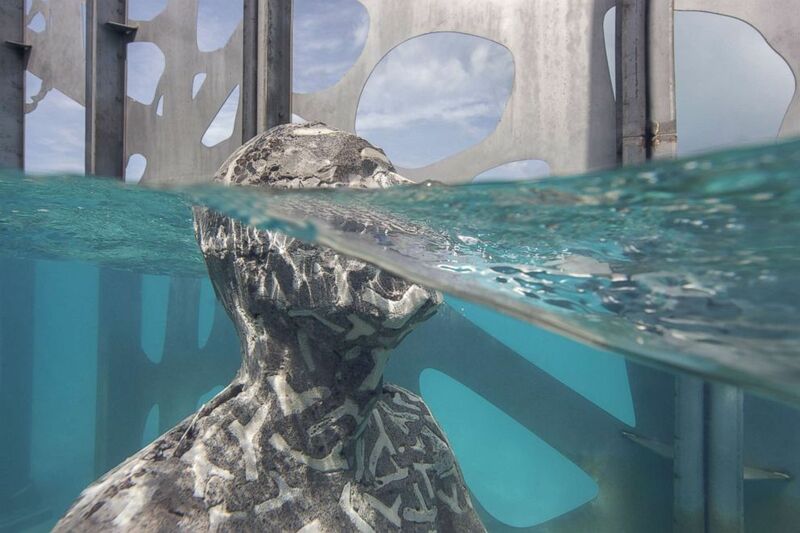 It consisted of human-looking statues that were submerged underwater inside a large stainless steel structure that acted as gallery for visiting snorklers and scuba divers. Artist and environmental sculptor Jason deCaires Taylor has created a semi-submerged tidal gallery exhibiting a number of artworks designed to evolve over time called Coralarium, Aug. 14, 2018, in the Maldives. The Maldives police published photos of the officers using axes and saws to remove and destroy the sculptures. President Yameen said there was “significant public sentiment” against the exhibition. Previous goverments have tried to highlight the threat of rising ocean level to the county. Former President Mohammed Nasheed held an underwater cabinet meeting in 2009 to highlight the threat to the country. He also announced plans to buy land on mainland Asia to move the population in the future if necessary.